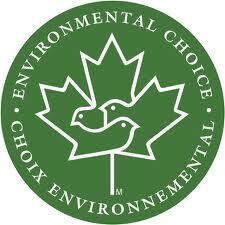 Balance Home Cleaning is committed to environmental stewardship. Cleaning requirements are carefully measured against environmental and health considerations. We employ a product lineup which meets one or more of the following certifications whenever possible. Originally established by the Government of Canada, certified products are recognized for best respecting environmental standards and certifications. Naturally Better Certification. Lines include cleaning and restoration products which meet a strict set of standards to reduce environmental impact and health concerns. Green Seal Certification. Established in the U.S. as an independent not-for-profit organization, certified products adhere to strict standards improving safety to human health and the environment. Balance Home Cleaning has also adopted a conscious approach to waste management; by employing reusable cleaning supplies and recycling waste products we minimize our environmental footprint. For further information on our green practices, contact us today. Thank you all at Balance Home Cleaning! You did a wonderful job cleaning our parents home as a gift from us to them! I really appreciate the extra care and checkup during the clean. We have and will definitely recommend you to those we know in Victoria (we arranged this from Toronto) and I know our parents will do the same.